Fellow Seattle fashion blogger Lisa. Lisa runs XO From Seattle with her friend Melissa. 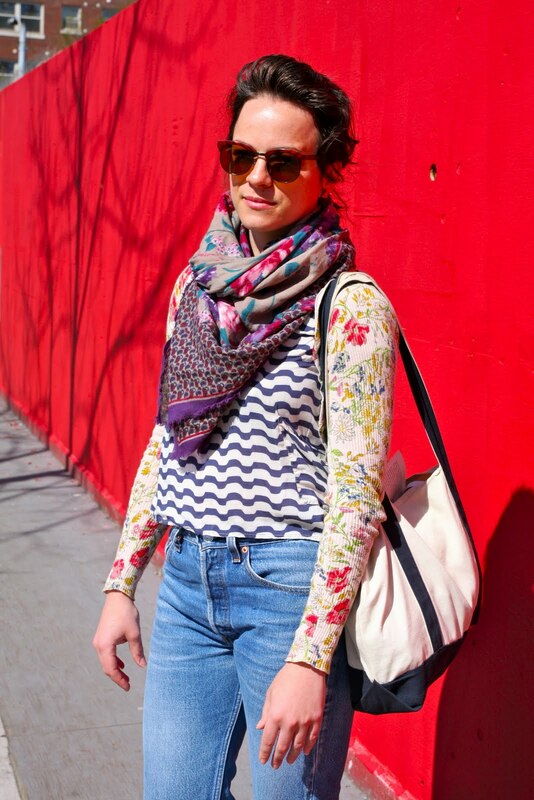 This girl's got great style and her eye for it shows on their blog. 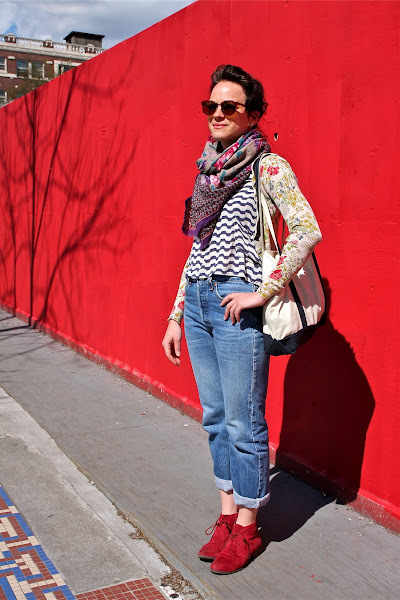 Lisa made her way straight to my heart when I saw her vintage Levi's, Bean bag and mismatched patterns. I have been wearing a pair of my dad's old Levi's since high school. When I first started wearing them it was in a grunge sort of way with the bottoms hanging straight down to my black low top converses. They were tucked away for years in my closet and about 5 years ago I pulled them back out and started wearing them cuffed up at the bottom with everything from feminine heels to my now go-to cream high top converse sneakers. It's been a long run wearing them this time around. I wonder if they will get tucked away again, and if so, when they will peak my interest the next time.